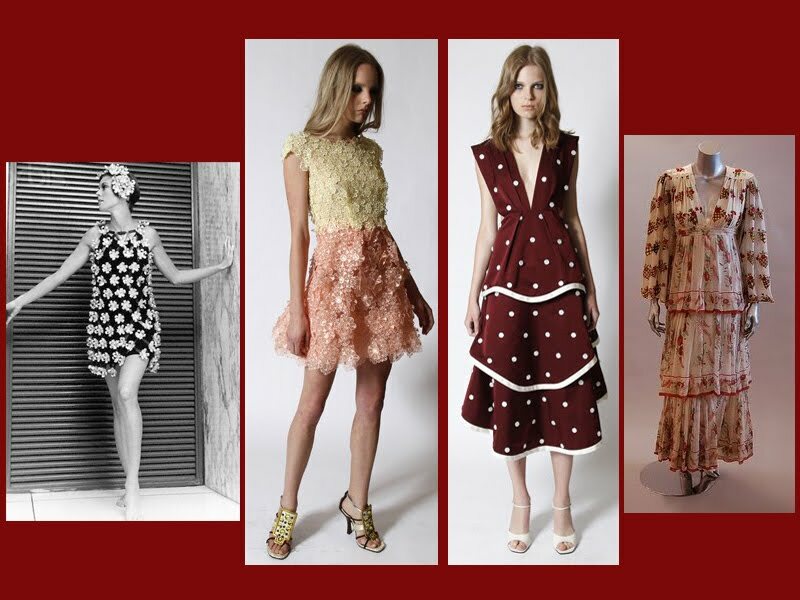 Marc Jacobs just presented his Resort Collection 2011. 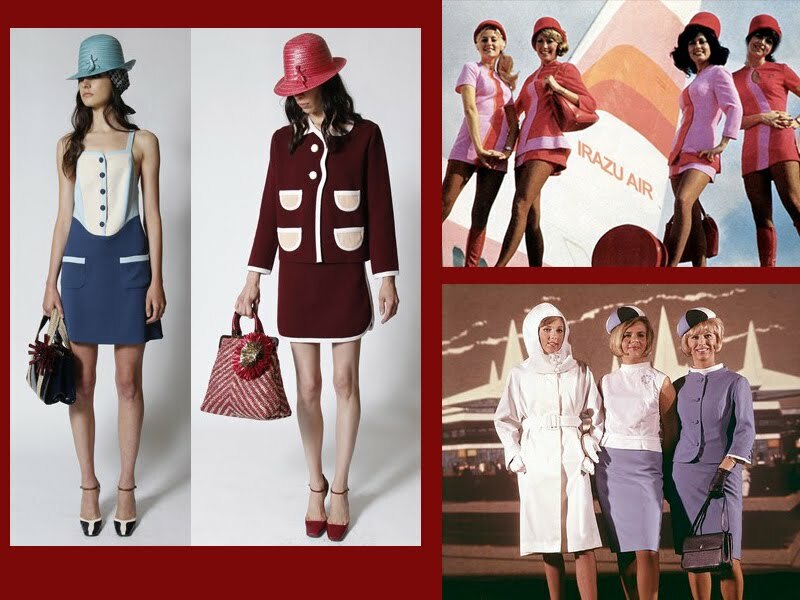 A collection that seemed inspired by the uniforms of the 60's and 70's air hostesses. The similarities are huge. 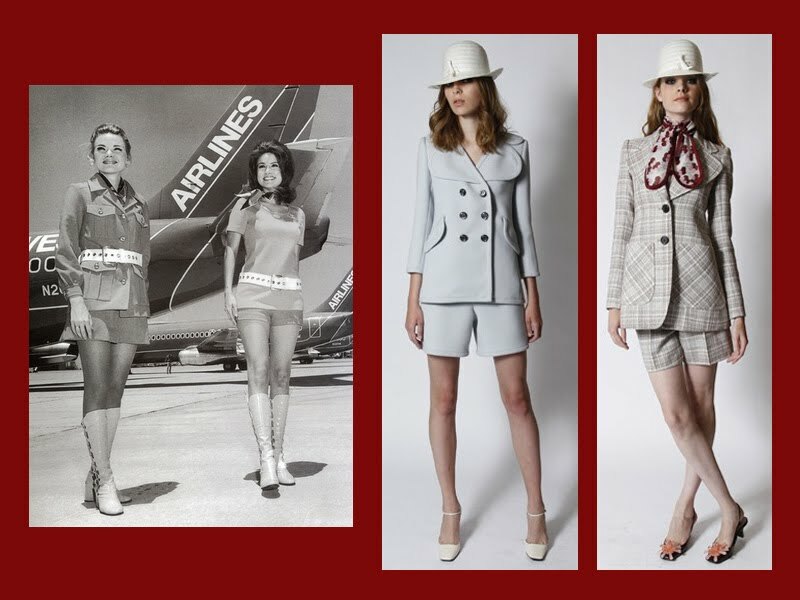 The squared shoes and hats are inpired by the aesthetic of the late 60's beggining 70's, the frames of the suits are inspired by Courréges and Pierre Cardin. Another inspiration was the 60's plexiglass dresses of Paco Rabanne, here a flowery plexiglass dress from 1967. Boho dresses from Ossie Clark and Celia Birtwell of the early 70's, here one of that dresses.